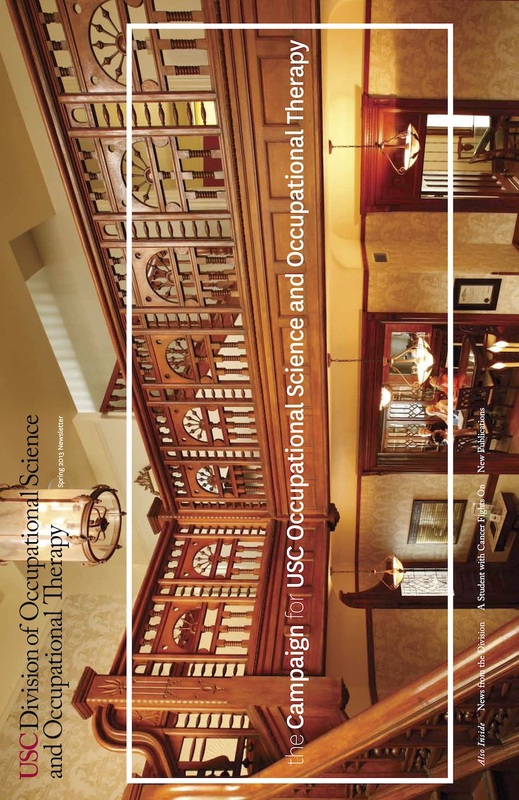 The Campaign for USC Occupational Science and Occupational Therapy: Looking toward the second century of our profession, the USC Division of Occupational Science and Occupational Therapy embarks upon a historic effort to raise $6 million in support of five major priorities: faculty, research, facilities, students, and impact. Fighter On: Grad school is tough enough. Caryn Roach is doing it with grace. And cancer. Neville-Jan Gives Keynote Lecture on Disability to TV and Film Writers Guild: Associate Professor Ann Neville-Jan gave the keynote address at “People First: Real Disabilities, Reel Stories,” a recent event examining the portrayals of people with disabilities in television and film.